Incontinence products that are easier to use save time and effort during product changes, as well as improve carer satisfaction. Products with higher usability scores generate significant time-savings during product changes. This could allow carers to refocus their time to meet user needs. Products with higher usability scores reduce physical strain on caregivers during product changes. This in turn can reduce sick leave and temporary staff costs. Belted and pants product types consistently received higher usability scores than all-in-one and pad-with-fixation-pant product types. Watch the movie to see the differences. 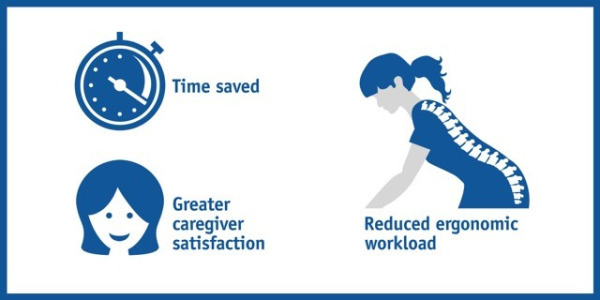 Efficiencies in handling and changing users should allow caregivers to refocus their time to better meet a person’s care needs so as to improve quality of life in both individuals and caregivers. Usability factsheet: Gives you an overview over the usability research, outcomes and benefits. Usability study: Download the first ever scientific study on usability of absorbing body-worn incontinence products here. Published in Journal of Wound, Ostomy and Continence Nursing in 2018. Usability press release: Read more about the need for a new methodology to evaluate absorbing incontinence products. Usability is a product-evaluation method accepted in many fields of research. It measures how well a product contributes to effectiveness, efficiency and satisfaction in real use(5). Experienced caregivers measured product usability during standing and lying changes. 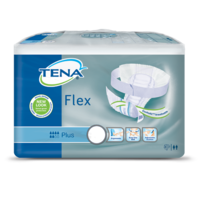 Four absorbing incontinence product types were tested: belted, pants, all-in-one and pad-with-fixation-pant. Products were evaluated by effectiveness (fit), efficiency (carers’ time on task and workload) and satisfaction (using a subjective questionnaire). 2Essity Data on file 2017. Reference case: 50 dependent residents using three products per day 365 days per year. 3Parent, A.S. (2016) Management for containment: A review of current continence care provisions. Global Forum on Incontinence. 30th March 2016. 4RISE Research Institutes of Sweden is fully owned by the Swedish state.